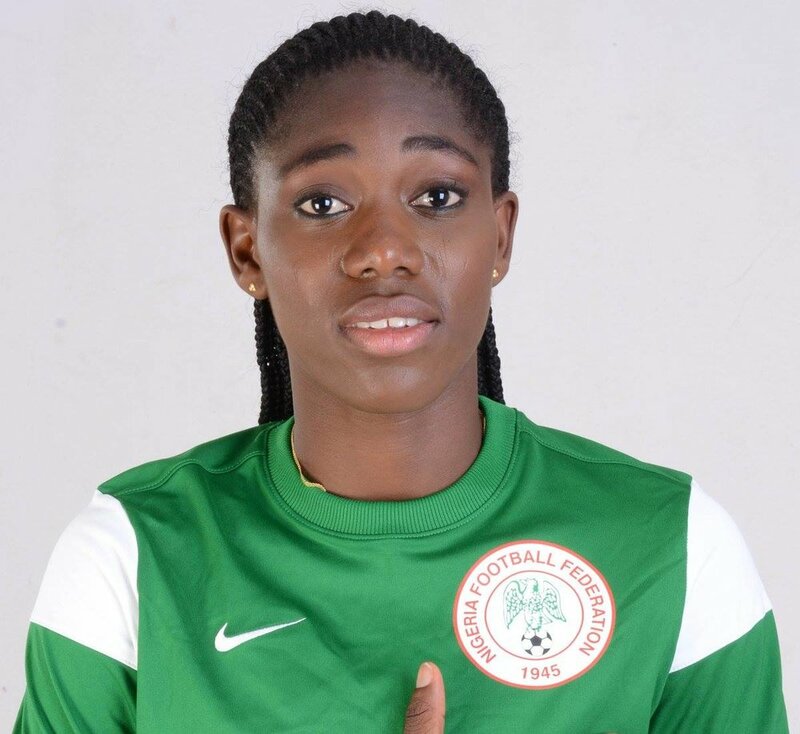 Often called the best football player in Africa, soccer star Asisat Oshoala was presented with the 2017 African Women's Footballer of the Year award this January, marking the tenth time a Nigerian woman has earned this distinction. Of course we’d be remiss if we did not mention that two of those nine other times also went to Oshoala; in 2014 and 2016. The win this year was especially triumphant for Oshoala after a series of hurdles. In 2014, she was on top of the world. She had just won the African Women’s Championship as a forward on the Nigerian Super Falcons. That same year, she won five other individual awards; the FIFA U-20 Women's World Cup Golden Ball, the FIFA U-20 Women's World Cup Golden Boot, the African Women's Championship Golden Ball, the African Women's Youth Player of the Year and the Queen of The Pitch Award. On a high, she made the move to Europe and signed with England’s Liverpool Ladies for the 2015 season. But her time in Liverpool was marked by an injured knee, and the feeling she was losing her status as a sports darling. In January 2016 she was traded to the Arsenal Ladies Women’s Football Club; the most successful in English women’s football. Still, it wasn’t the best fit. Last February she made a bold move—signing a contract for seven times her salary with the Dalian Quanjian Football Club in Dalian, Liaoning, China. She left on a good note, tweeting to her team of one season, “Thank you @ArsenalLadies and thanks to all the fans for your support. I wish you good luck for the future.” The Confederation of African Football honor meant so much more to her coming off the heels of ending a chapter in England and beginning a new one in Asia. “I think it has to be the best moment of my career so far,” she said according to The Guardian. “This is my third one and the best because 2017 was a very difficult journey for me. It was tough for myself, my family and everyone around me because I had to decide to leave Arsenal. A lot of people said to me: ‘Oh she’s going to China. She can’t make anything out of that.’” On the contrary that season the Dalian Quanjian took first place with Oshoala named Top Scorer.